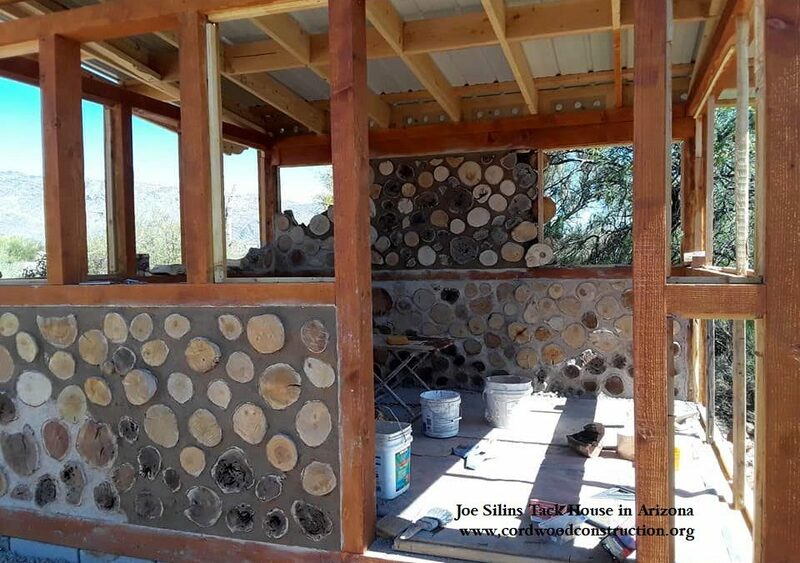 Joe Silins Tack House in Arizona. 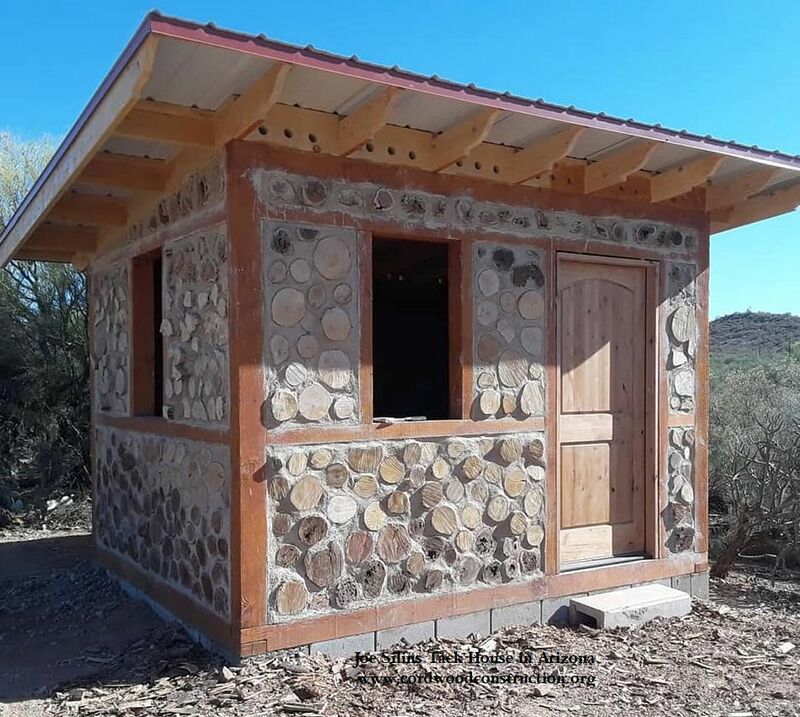 Made from pine and mesquite. 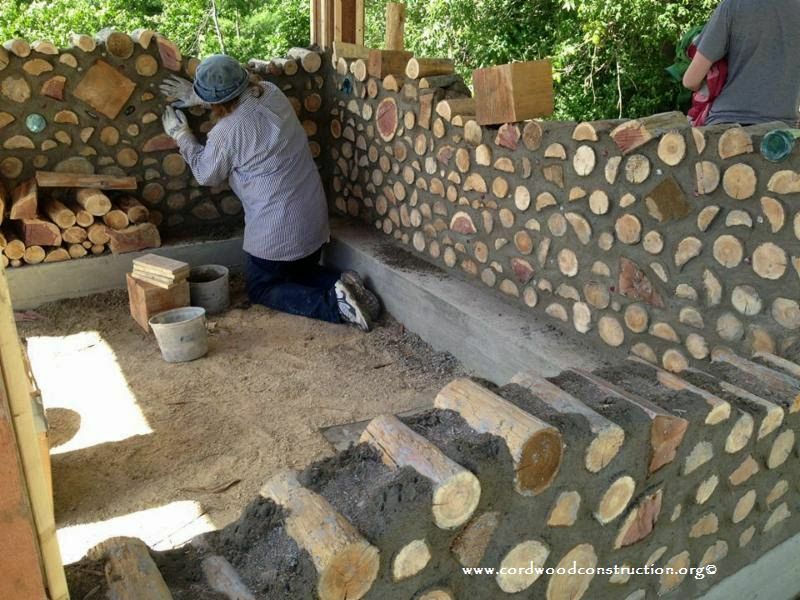 There are some very creative folks doing wonderful work. 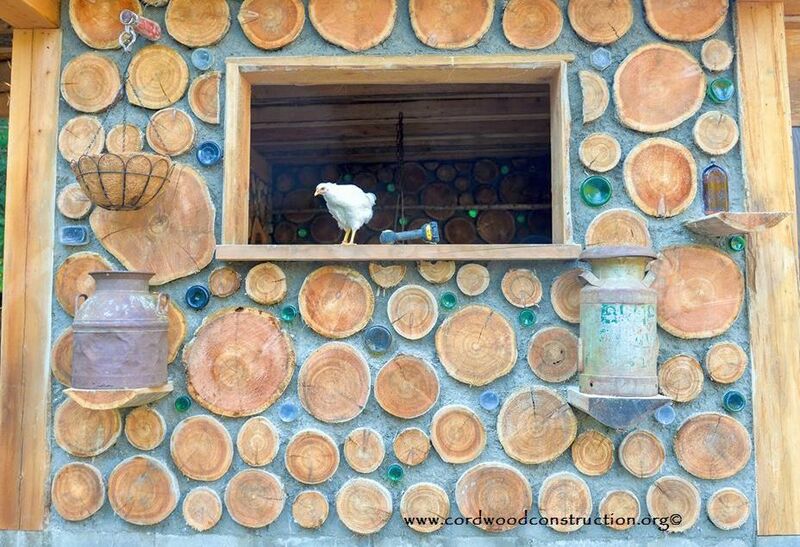 Here are a few cordwood outbuildings that are both functional, beautiful and built with best practices. 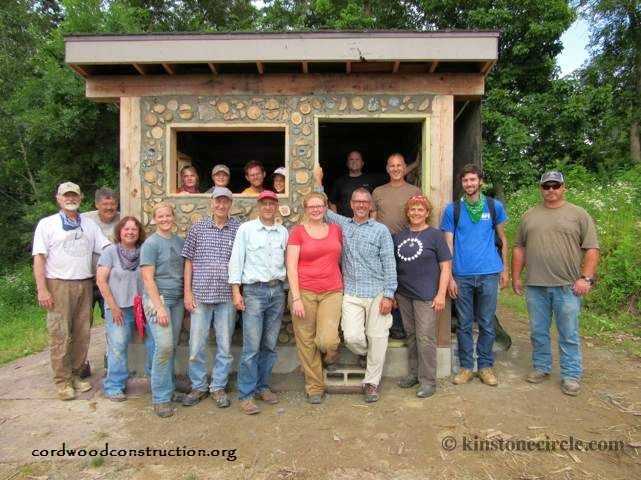 Above is the Kinstone sauna crew that finished the project. 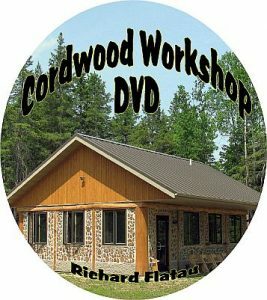 There were three other workshops for framing and cordwood construction. 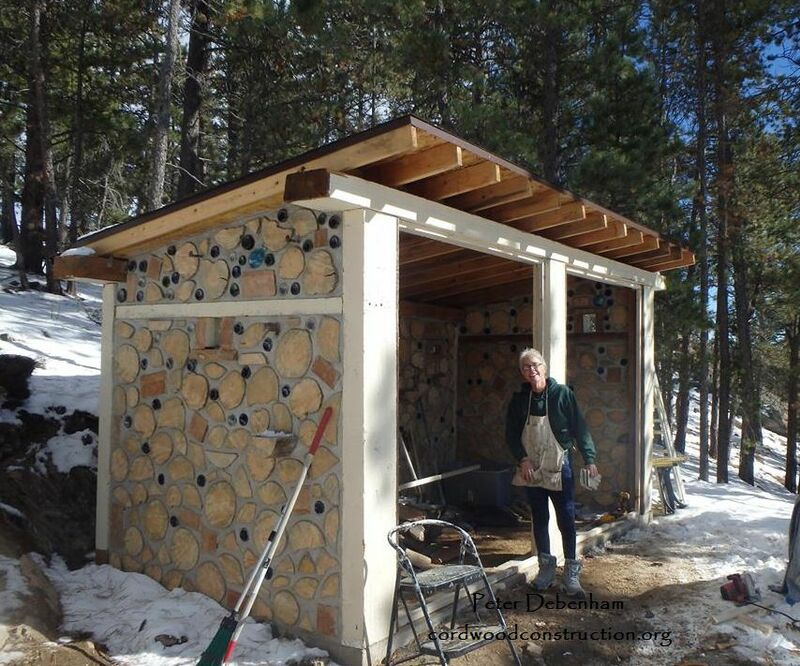 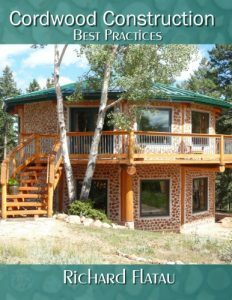 All participates were appreciated for their attention to task and detailed approach to learning cordwood Peter Debenham and Ann Lundquist built this lovely cordwood wood shed in Colorado. 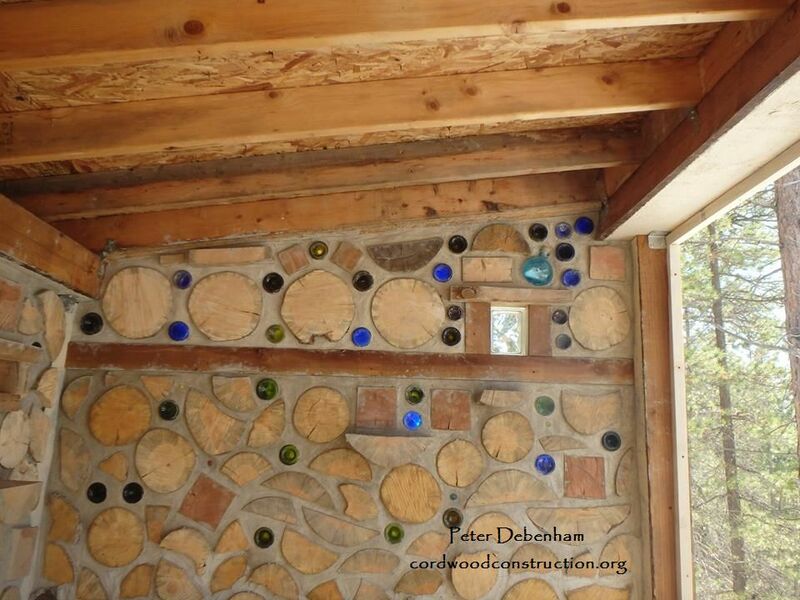 An interior view of the woodshed with shelves and bottle ends. 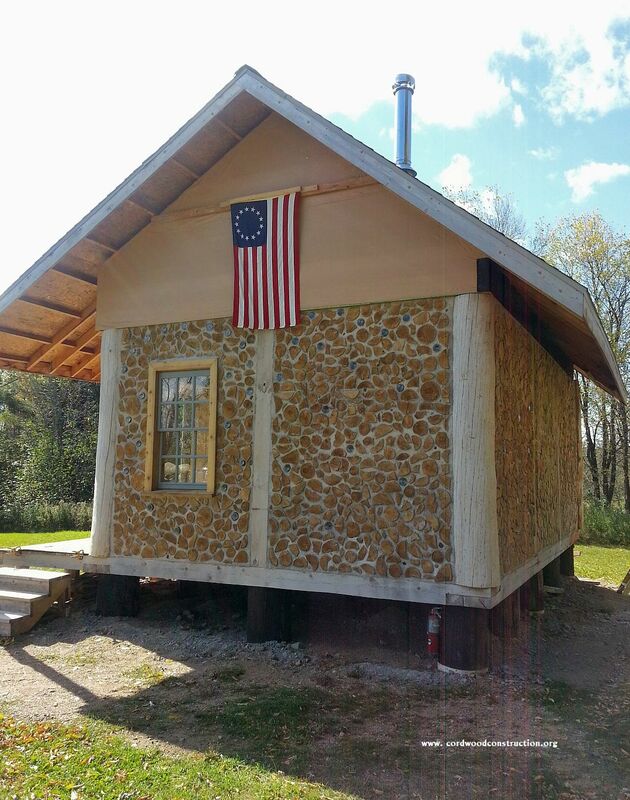 Eric and Beth Carlberg built the Rendezvous Cabin in Wisconsin for historical reenactments. 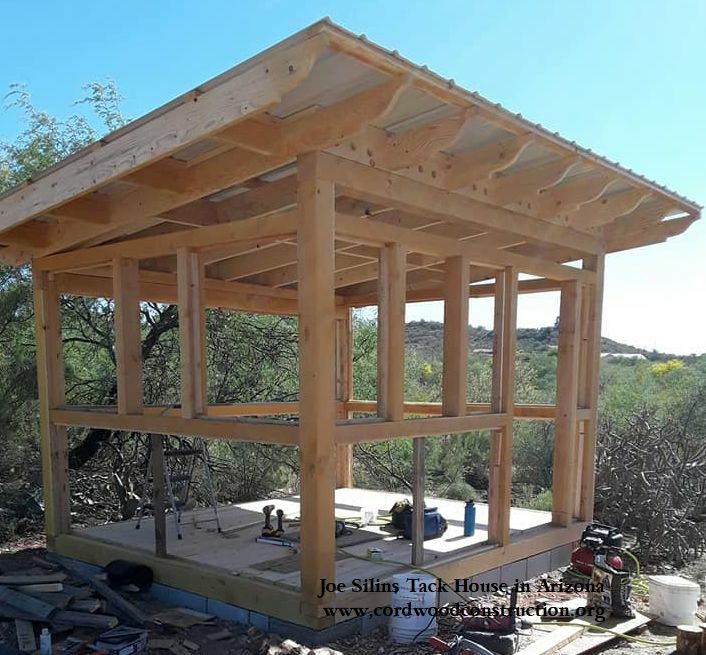 (Above)A tack house of Pine and Mesquite in Arizona by Joe Silins. 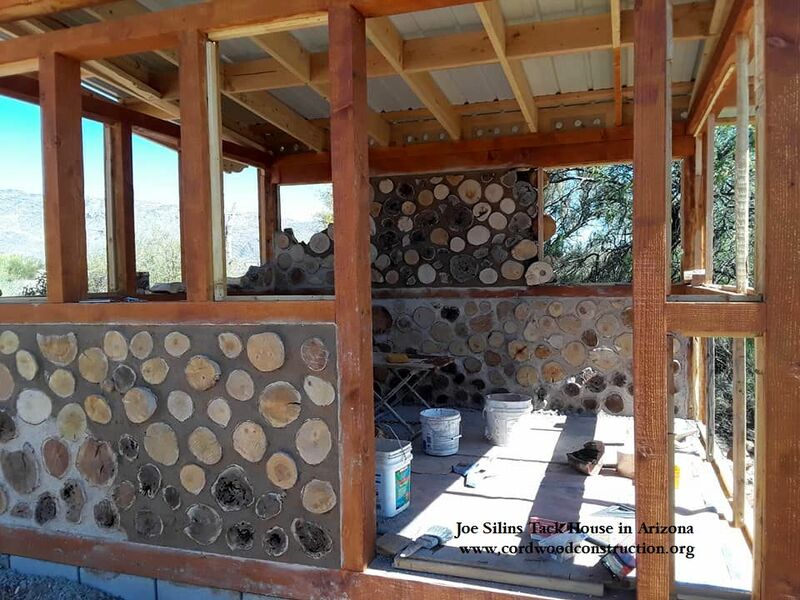 A post framework by Nick Kautzer in Oregon. 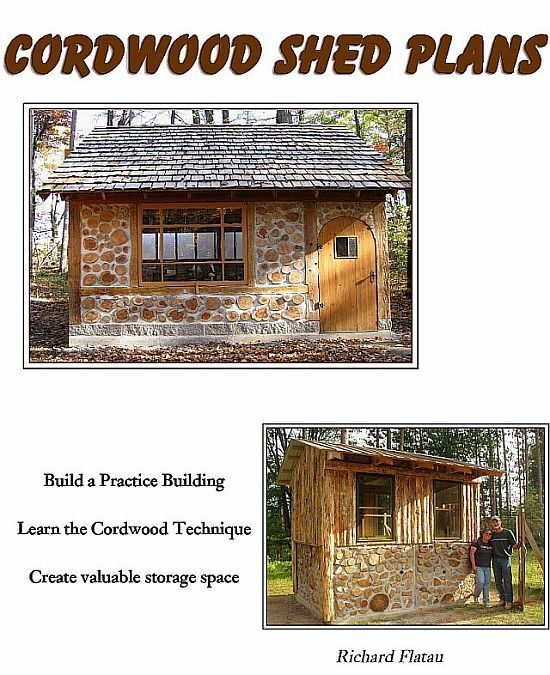 These pictures are from the book Cordwood Shed Plans available at the Cordwood Online Bookstore at www.cordwoodconstruction.org These sheds with ladder pads for cordwood have 9 foot high walls for a larger garage door opening. 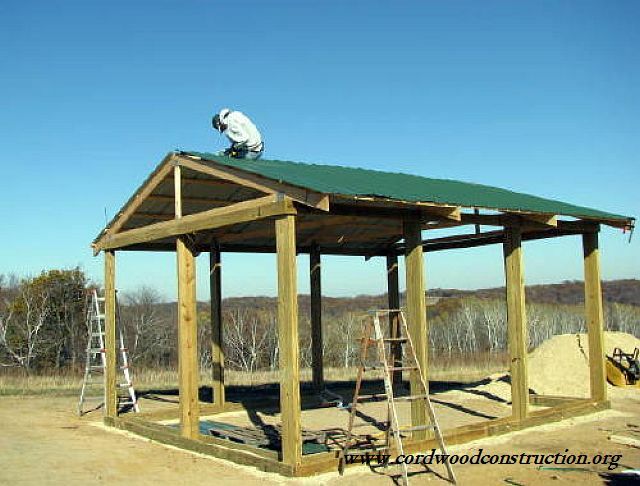 This is so larger equipment can be stored. 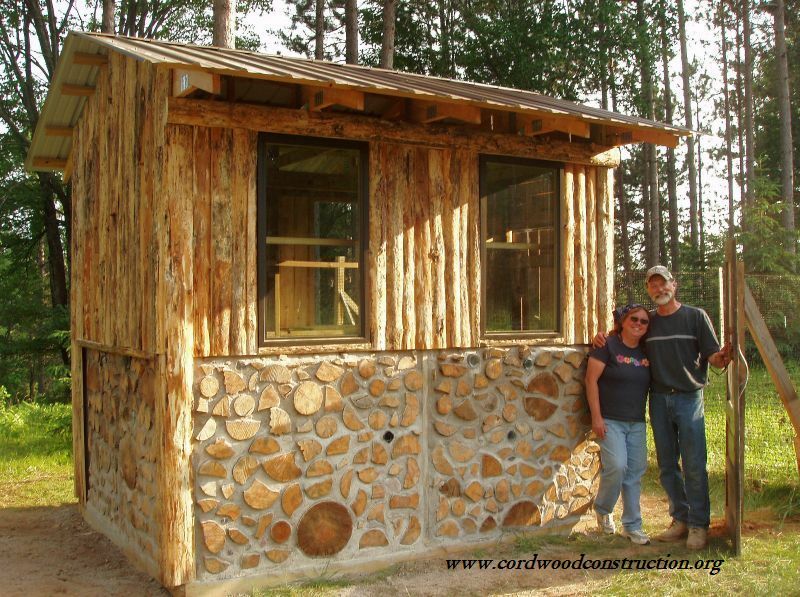 The top picture is a garden shed we built for Treehaven Campus near Tomahawk, Wisconsin (using red pine infill). 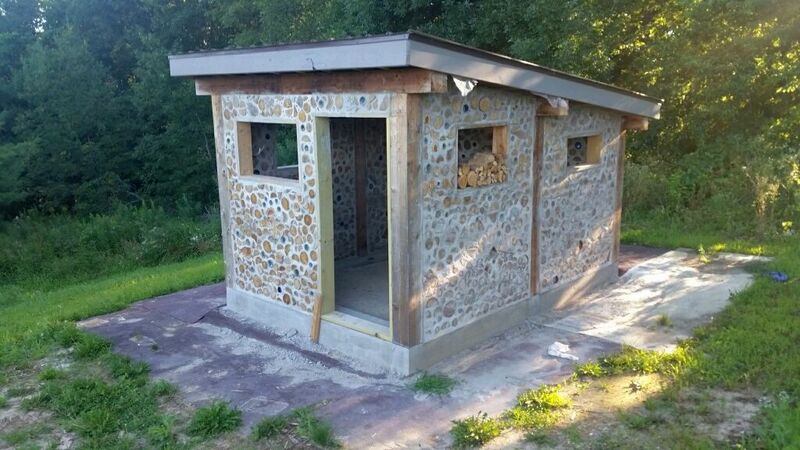 It holds tools and materials for the 6,000 sq. 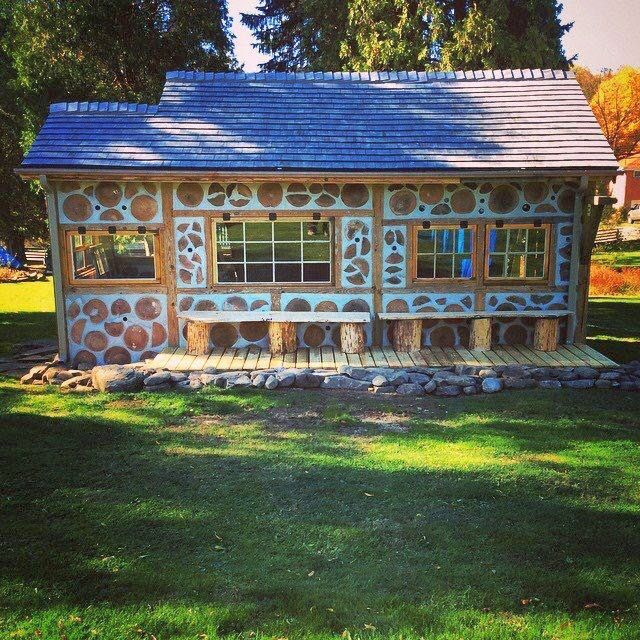 ft. organic garden on campus. 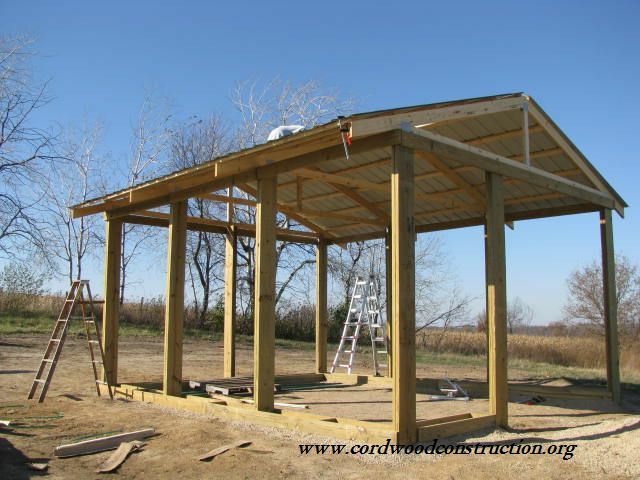 The picture gives an excellent example of the post frame structure that becomes both foundation and framework (the posts are placed below the frost line). 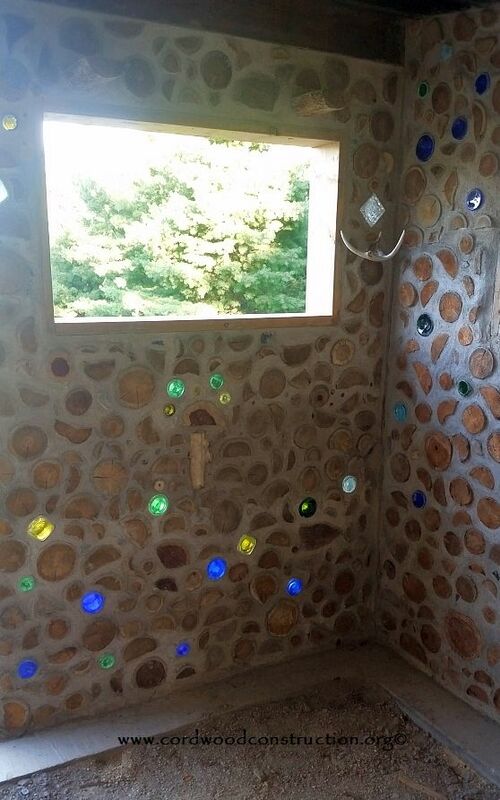 Below is the finished product. 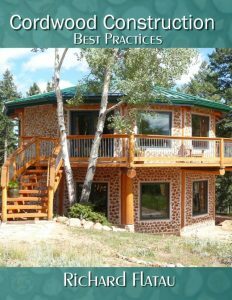 This is the Novitch Maple Sugar Shack (with aspen infill) made with the very useful Cordwood Shed Plans. 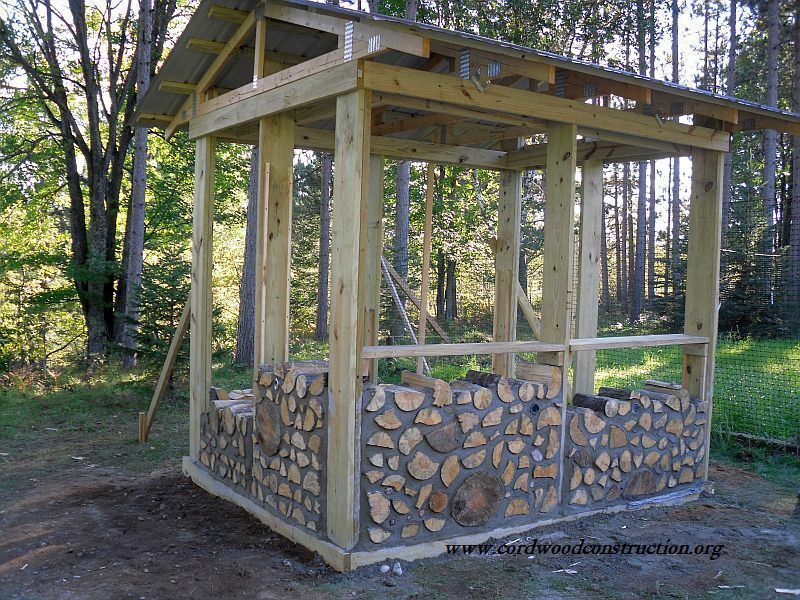 Notice the Maple Syrup stove evaporator under the lean-to.